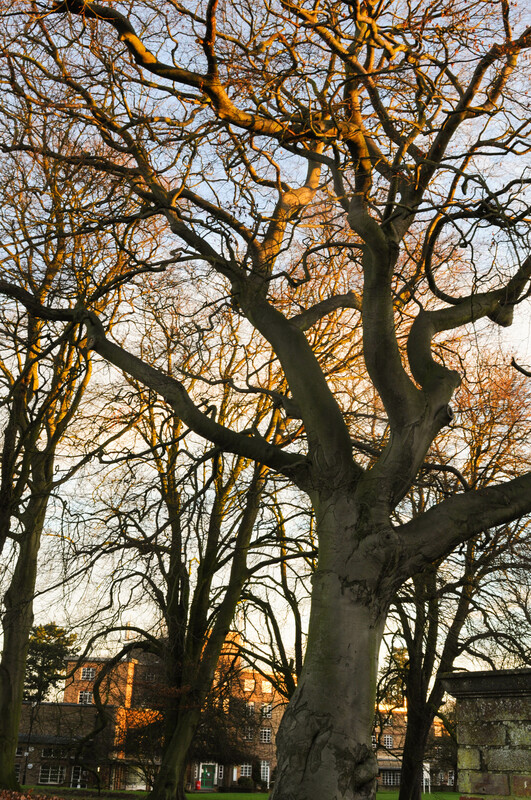 Two trees will be planted at Bishop Grosseteste University (BGU) in Lincoln and school children will learn about the importance of trees and forests at an event marking the 800th anniversary of the Charter of the Forest. On the same day The Woodland Trust, a national charity based in Grantham, will launch its new Charter for Trees, Woods and People at Lincoln Castle – home to one of the two remaining 1217 Charters of the Forest. BGU has invited school pupils onto its campus in Lincoln on Monday 6th November as part of a major campaign, sponsored by the Woodland Trust, to work on Britain’s environment for future generations. The schools involved are Queen Elizabeth’s Grammar School in Horncastle, Ravensthorpe Primary School in Peterborough, Morton Trentside Primary School near Gainsborough and Brockley Primary School near Chesterfield. They will take part in educational activities relating to the Charter of the Forest and the Charter for Trees, Woods and People. The primary school pupils will make lanterns with handles made of sustainable, locally coppiced hazel, and they will be invited to attend a lantern parade being held as part of the TreeCharter launch that evening at Lincoln Castle. They will also be invited to think about why woods and trees are important to them and to add their thoughts to the lanterns. PGCE secondary Art and Design students will work with the primary school pupils on art activities using natural forms, with a special emphasis on materials derived from trees to create artworks that can be displayed in natural environments. The grammar school students will learn more about the 1217 Charter of the Forest and how it became part of the ‘Ancient Constitution’ of the kingdom, a notion of vital importance for the political and constitutional history of the British Isles, and eventually its American colonies. The event, from 10.45am until 2.30pm on Monday 6th November, will end with the ceremonial planting of a hornbeam tree and a wild cherry tree on campus at BGU. Robert von Friedeburg, a Reader in History at BGU who is organising the event, said: “England has lost a lot of historic woodland over the centuries and the Government’s reforestation plans are behind schedule, so civil society needs to jump in and engage for the good of us all. “This Woodland Trust campaign is almost too good to be true, and we’re pleased to be taking part in it. At BGU we teach good people to become good teachers, and good teachers are essential to teaching our children well. The Charter of the Forest was sealed by King Henry III in 1217 and re-established for free men rights of access to the royal forest that had been eroded by William the Conqueror and his heirs. It was in many ways a companion document to the Magna Carta signed by King John two years earlier. More than 70 organisations and 300 local community groups have helped The Woodland Trust to collect over 60,000 tree stories from across the UK, demonstrating the important role that trees play in their lives. These stories helped to define the 10 Principles of the Tree Charter, ensuring that it stands for every tree and every person in the UK. SourceFour are delighted to have successfully undertaken the redesign, migration and launch of the new Bishop Grosseteste University (BGU) website.